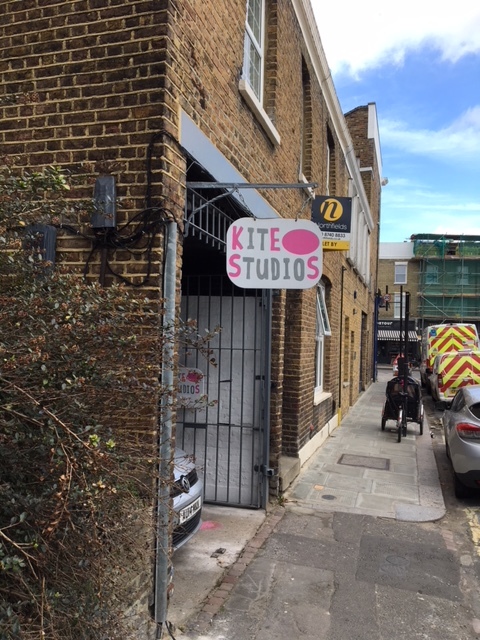 Award for Kite Studios founder – why not book in there for a pottery class? Congratulations to Auriol Herford who has been granted a civic award for her contribution to art and culture in the borough. She founded the Kite Studios in Bassein Park Road in 2002. “From preschool age children, to children with additional needs; experienced student or curious adult beginner. Irrespective of age, experience or income –everyone is welcome! “We’ve been hosting ad-hoc pottery classes since 2011. This has developed into a more established pottery studio during 2014. The Great British Pottery Throwdown on the BBC has sparked a renewed interest in pottery for many people. Our aim is to provide a fun, high quality pottery experience in West London. We collaborate with ceramic artists and designers to teach the pottery, clay and ceramics classes. Currently Kite Studios is working with Clover Lee, who was a finalist on the BBC Great Pottery Throwdown TV show. Brackenbury, Greenside and Wendell Park are among the local primary schools that Kite Studios works with. “Since building a childhood passion for zoology during his primary school days at Flora Gardens, Hammersmith artist Louis Fowler has been marrying his love for animals with a unique talent for illustration. Now his intricate ink sketches of endangered species are being showcased at his local pub the Stonemason Arms, Cambridge Grove. His artworks on the display line are selling for £20 a pop. A beautiful collection of animals set against bright blocks of colour to give the images a dramatic background and bring the ink illustrations to the fore, they are providing a colourful backdrop to anyone stopping by for a beer or two. Produced by a specialist printer in Covent Garden, they may one day be brought together into a book. It wouldn’t be his first, as Louis already has an impressive collection of children’s books to his name including Nothing Rhymes with Scissors, a mix of cartoon pictures and poetry in the Edward Lear mould. Lots of arts events to choose from locally. A new stage adaptation of Derek Jarman’s seminal film. The cast is led by Toyah Willcox. If you are nostalgic for the good old days of punk rock this is the show for you. Lots going on at this excellent Edwardian venue. It was originally built in 1904 and was used as a dance hall through the roaring twenties and as a soup kitchen during the Second World War. An intimate venue under the Curtains Up pub. Founded in 1991 it has only 57 seats. This “dark tale” is written by and stars Monica Dolan and explores how far one mum will go to give her child what she wants. Tickets from £10. More details here. 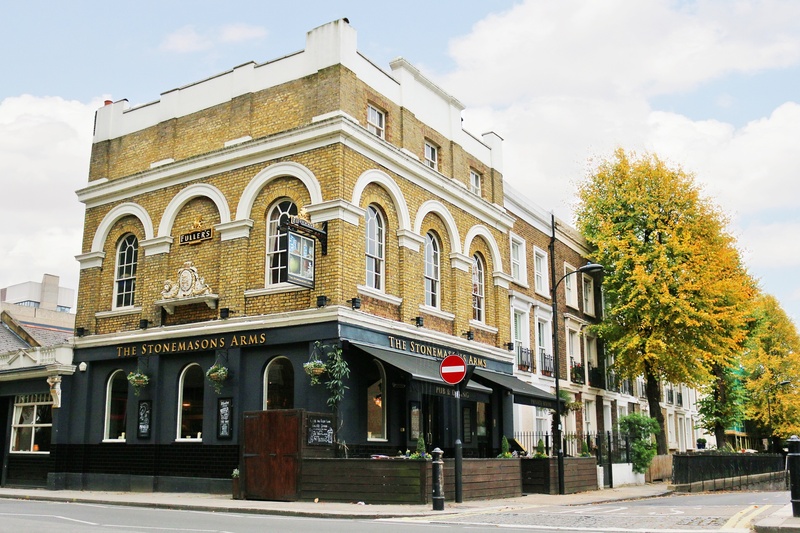 This 96 seat venue opened in 1985 above the Tabard Pub and is very near Turnham Green tube – so just over the border in Hounslow. Tickets £12 Children £10. More details here. Friday 16 February. 7.30pm. Tickets £12. Concessions £10. ‘Red Noise,’ A One-Man Show, from Irish Actor/ Comedian Owen O Neill. Friday 23rd February. 2.00pm – 5.30pm Tickets £25. 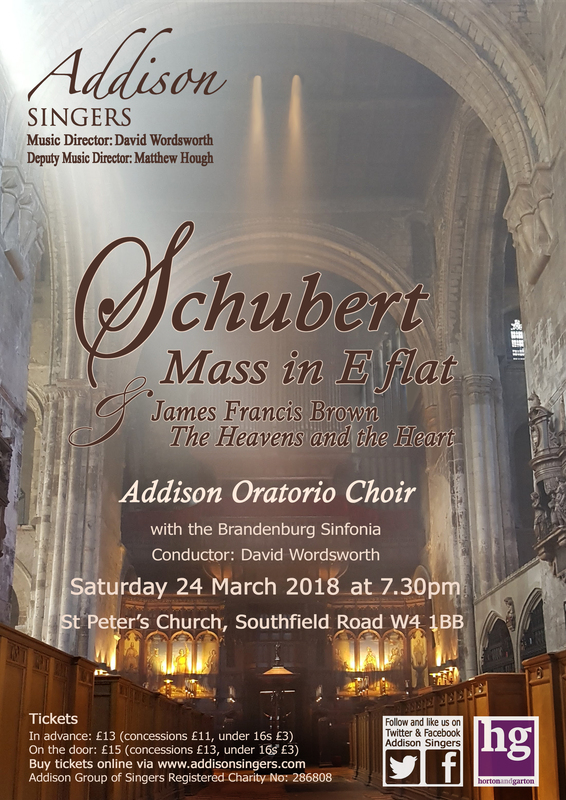 The Hammersmith-based Addison Oratorio Choir will be joined by five exceptional vocal soloists and the Brandenburg Sinfonia for one Schubert’s grandest and most elaborate setting of the Mass, his Mass in E flat – a work on an epic scale that the composer never heard. It was premiered the year after his death, conducted by his brother Ferdinand Schubert. The Mass makes pointed references to Schubert’s ‘Holy Trinity’ of composers – Mozart, Beethoven and Bach and contains some of the most dramatic and heartfelt music the composer ever wrote. From far more recent musical history, actually completed less than two years ago, comes ‘The Heavens and the Heart’ by the British composer James Francis Brown, three psalm settings, two joyful and energetic songs of praise, framing a calmer and more reflective one. The perfect uplifting contrast to the more tortured and questioning sound world of Schubert’s great masterpiece. Tickets in advance £13, concessions £11, under 16’s £3 (all + booking fee), via https://www.addisonsingers.com/event/oratorio-choir-spring-2018-concert or £15 / £13 / £3 on the door. I cycled most weekdays down the Iffley Road to go to school in Hammersmith for seven years. 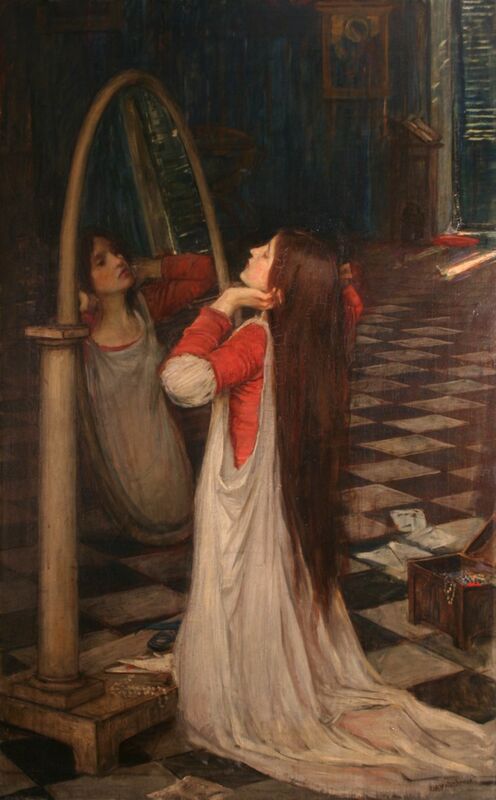 Despite the fact that my favourite subject by 6th form was history of Art (much mocked these days I’m afraid, especially even by my own children) my blue-stocking classmates, our friends and our teacher were all completely unaware that 5 minutes up the road, mostly in permanent storage, was the most fabulous collection of pre-Raphaelite art. Yet to come under the gaze of Andrew Lloyd-Webber, Jimmy Page and other rich collectors, it might be that their lack of fashion explained why Hammersmith and Fulham Council kept them such a close secret. More likely was the problem of display – as their value has crept up so have worries about conservation and insurance. 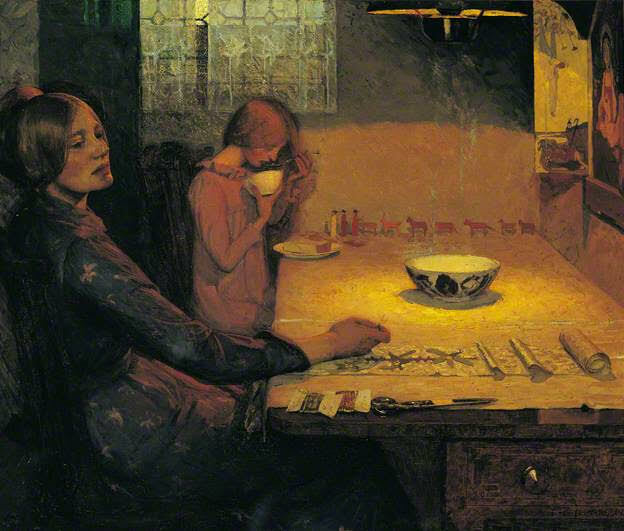 Cecil French was born in Dublin and trained as an artist at the Royal Academy Schools, London, and at Sir Hubert von Herkomer’s School at Bushey, Hertfordshire. He had a private income and so started collecting Old Master drawings and was lucky enough to meet Sir Edward Burne-Jones during the latter’s last days at the Grange in Fulham. Unlike some untalented artists Cecil soon realised that he wasn’t nearly as good an artist as those who created his masterpieces which he astutely gathered. On 30 June 1953 the Fulham Public Libraries Committee accepted with thanks Cecil French’s offer of six works by Sir Edward Burne-Jones, for display in the libraries. French’s offer was a response to the Council’s positive attempts to preserve The Grange, Burne-Jones’s house in North End Lane which sadly, after French’s death, came to nothing. In his will, dated 19 January 1952, French instructed one of his executors, Rowland Alston, Curator of The Watts Gallery, Compton, to distribute the remainder of his paintings, following specific bequests, to museums. 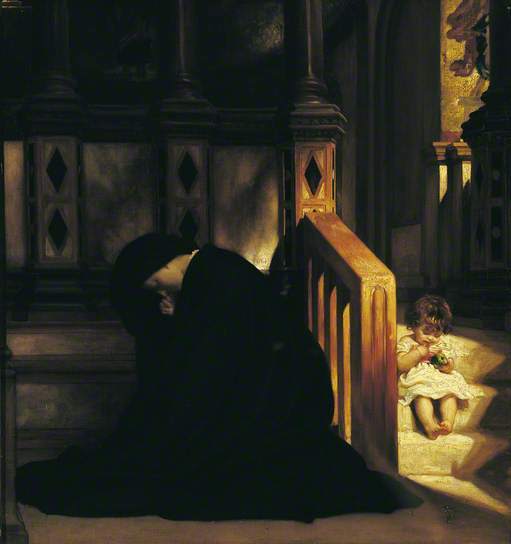 Thus, in February 1954, Fulham received a bequest of a further 47 works (both paintings and drawings), the majority of which are by Burne-Jones. The value of Cupid delivering Psyche of 1867 is now eye-wateringly high and that is why it is such particularly good news that in 2018 at last the Watts Gallery are coming back into the picture by showing a selection of highlights from the Bequest. Not only that but they are sharing the cost of some of the inevitable restoration. Hammersmith and Fulham Council have negotiated that any resident of H&F who turns up at the gallery with proof of address is let in free, if they can make the journey to the Surrey Hills near Guildford. There is much to see there – further info here. Members of The Hammersmith Society, the Fulham Society and the historic Buildings Group are visiting in March and the hope is that many school trips will be organised as well – to rectify at long last the concern expressed in my opening sentence. Many of Cecil’s letters – particularly those from Ricketts and Shannon, are now in the Houghton Library at Harvard. Why the delays for the Chiswick Mall artist studios? Hammersmith and Fulham Council is making a bid to be the London Borough of Culture. Fine and dandy. But I wish they would be less obstructive to a proposal for artists studios in Chiswick Mall. Planning delays have made the whole project a real struggle. 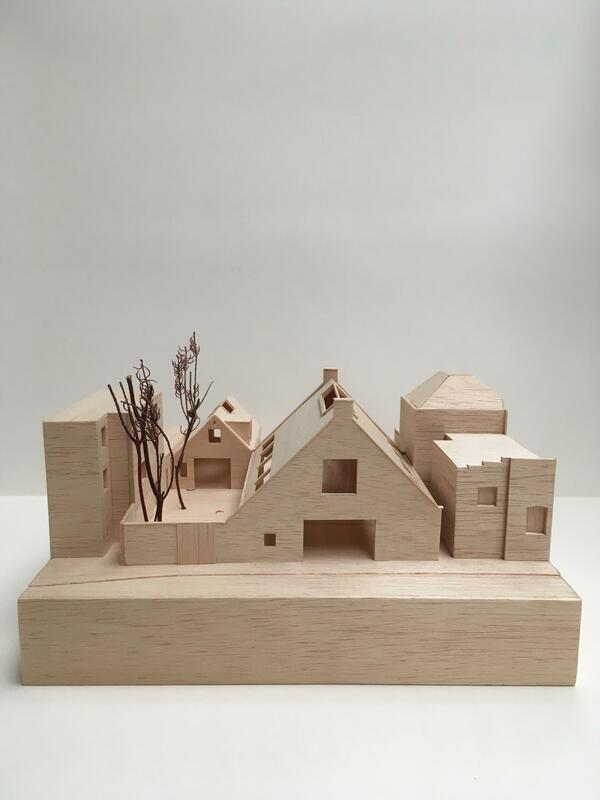 “Assemble are currently developing a design for the rebuilding of a collection of artists’ studios, informal gallery spaces and accommodation at Durham Wharf, the former home and principal workspace of the artists Julian Trevelyan and Mary Fedden. Originally built in the early part of the twentieth century as a coal store, Durham Wharf is made up of a pair of buildings that stand out amongst the properties along Chiswick Mall for their awkward modesty. The character of the site is the result of multiple and visible adjustments made to them over many years, as they have hosted both the working and private lives of a broad range of individuals who have made an important collective contribution to the art, music and philosophy. Durham Wharf was used for receiving coal from the north east of England until after the First World War. “1925 The Footprints Workshop was set up at Durham Wharf by Gwen Pike and Elspeth Little. They used hand-blocks to print fabric and the artist Paul Nash, was one of their more notable designers. This now celebrated venture , was supported by Celandine Kennington, the second wife of the sculptor Eric Kennington. The Workshops continued to supply two successful London shops with fabric until 1932. As this went on, Eric Kennington used the building closest to the river, for making sculpture. Blocks of sculpted stone were still laying about when Julian Trevelyan and his wife Ursula Darwin, arrived there in 1934 (some is still here). Between 1932 and 1934, the film-maker and kinetic sculptor Len Lye, used the buildings, and it was here that he made his famous little film called ‘Colour Box’, which advertised postal rates of the GPO. He continued to work here for some months after Julian Trevelyan and his wife, obtained the lease in 1934. 1934: Commissioned by Julian Trevelyan, the architect Kit Nicholson (brother of the artist Ben Nicholson), designed the conversion of the riverside premises into a combined studio and living space in 1934. He also designed the subdivision of the sheds that bordered the road: a spare bed-room (and WC) was installed, a pottery studio, picture racks and a separate shop and garage, were all established. A large oil-fired kiln was also built in the entrance garden, and this fired the pottery made by Ursula Trevelyan until 1949. 1935- 1942: The Picture Lending Library. This enterprise displayed paintings and offered them for sale in the Durham Wharf shop window. Apart from my father’s work, other painters such as Max Ernst, Viera da Silva, Stanley Spencer, Cecil Collins, John Tunnard, Victor Pasmore, John Banting, Roland Penrose, Jean Varda, were also represented. This Library lent pictures to clients to borrow on a sale or return basis, and it was a vital part of the activity at Durham Wharf until 1946 (See the Record Book). Anthea Craigmyle (the local artist), remembers being fascinated by the pictures in the shop window…. 1944. The studios were also used for exhibitions and the artist Cecil Collins had his first one-man show there in 1944. Later that year, a bomb landed in St Peter’s Wharf, but did not explode. The main roof beam and all the skylights of Durham Wharf were broken and had to be replaced……. In 1946: The Picture Lending Library was closed and the shop became a Day School /Nursery for four years. Throughout this period (1934-46), Durham Wharf became famous as a meeting place for artists, musicians, dancers, photographers, writers, architects, engineers. Organizations such as the Artists International Association or the Surrealist Group met there. 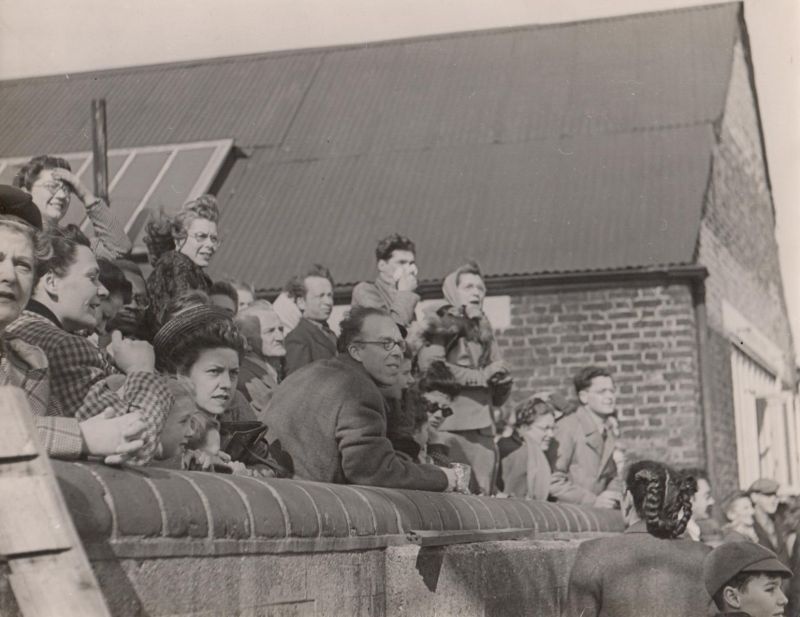 It also became a venue for informal parties, concerts, exhibitions and events such as the Annual Boat Race Party, to which at least 50 people would be invited for ‘Beer and Buns’(See photos). 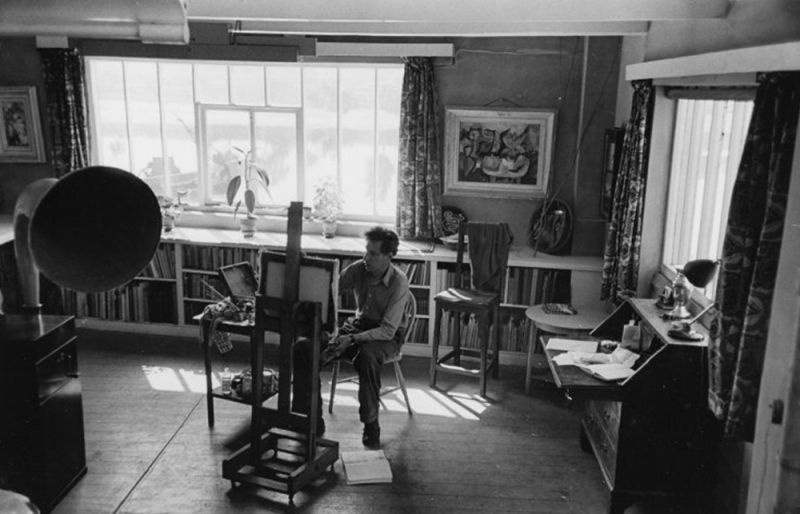 After the war, Mary Fedden and Julian Trevelyan introduced the opening of their studios for three days in the summer, every year. This became a popular event (with queuing before opening), and the idea has now grown into multiple ‘Open Studio Events’ right across the UK. Other informal and notable events included an all night celebration of the Ballet Russe, organized by Vladimir Polunin: the great dancer Lydia Sokolova was among the guests and it is said dancing went on all night (despite the drink running out,) and that they all swam in the river as dawn broke. Another famous event was a send off party for W.H.Auden and Chris. Isherwood, who were off to China: Benjamin Britten played the piano during this send off. From the 1960’s onwards, informal concerts took place regularly: there was the annual visit from the Yehudi Menuhin School (where Mary Fedden taught art), and later, visits from the Dante Quartet led by Krysia Osostowitcz. Other distinguished pianists and players (David Ward, Nigel Kennedy, Wendy Philips) also performed at the Wharf. On occasions 50+ people would be invited to attend. Between the years 1925 and 2012 (the year Mary Fedden died), Durham Wharf did get known as a special place for meetings, and a list of well known people associated with the place, would run into hundreds, possibly more. Off the top of my head, the following distinguished people from the arts and sciences, were visitors. ‘Public Benefits’ are part and parcel of the development and restoration of Durham Wharf Studios. When the development and restoration of Durham Wharf is complete, an important part of the nation’s artistic heritage will be enhanced and maintained. While the development work is being completed, an application for a London Blue Plaques that remember the lives of both Julian Trevelyan, R.A.and (later) Mary Fedden, R.A. MBE., (once considered the most popular of all British painters), will be in process. When put in place, the plaques will be a reminder of the heritage created by these artists. The development includes the restoration of the pitched roof studio which is adjacent to the river. Apart from its function as a sculptor or painters work space, this building has a history of bringing together a remarkable list of people from both the arts and sciences (see ‘The History and Heritage of the Live/ Work Studios at DW’). From many points of view, this old coal shed on the river has to be recognized as a heritage asset. The development of Durham Wharf will allow it to encourage artistic excellence well into the future. It will be owned and overseen by a sympathetic family trust in collaboration with bodies such as the Royal College of Art and Royal Academy. There will be a resident artist who will combine administrative duties with his / her own work. The applicant has outlined a series of proposed measures that will follow the development and restoration (see below). These will invite the local Hammersmith community to engage with and appreciate the artistic heritage of Durham Wharf, alongside its earlier history as a coal wharf. It should be noted that if the Trevelyan family were to place Durham Wharf on the open market, all of the above would be thrown into the ‘bin of chance’. Thanks to the glacially slow responses of the Hammersmith & Fulham planning officers (conversations started in January 2013), this unhappy option is becomes ever more likely, as each day passes. Proposed measures which will benefit the local Hammersmith community, post development. We intend to make some of the studio spaces function in a similar way that village halls are hired out. We can foresee the riverside studio being made available for festive meals, short term exhibitions, group meetings. We often receive requests along these lines. Thanks to Julian Trevelyan and Mary Fedden’s annual sale of their pictures directly from the studios, Durham Wharf has an ‘open studio’ tradition. It is often said that the ‘open studio’ movement was initiated at Durham Wharf. This tradition will be continued. Some of the new residents at Durham Wharf, are highly likely to be post graduates from the Royal College of Art. These young artists will be familiar with the RCA’s community out-reach programmes, which engage children in schools, people in old people’s homes, local societies. These programmes are currently funded by a charity set up by Mary Fedden and known as the Durham Wharf Foundation. This charity would be able to support new outreach programmes that engage with the Hammersmith community. Indeed, successful applicants for residencies at Durham Wharf will be expected to develop such activities. I am encouraging the planning officers to be more positive. I hope we get there in the end..
Lots of arts events to choose from locally over Christmas. See the review in the Evening Standard. Comedy: Bush Hall Presents a Festive Tim Key – details here. Then on New Year’s Eve there is: The Sheen Resistance presents: Lost in Disco New Years Eve Extravaganza! Sunday, Dec 31, 2017 9:00 PM – 3am January 1st 2018. Details here. Coming up we have Improvised Pantomimes. 7.30pm – 10.00pm from 12th- 17th of December with the Very Serious People. Tickets £10-£12 here. Then we have The Fairground Magic Show. Set in the Fairground and carnivals of yesteryear. A traditional magic show for the whole family. Created and presented by magician and showman Richard Leigh. Tickets £10-£12 here. Others might prefer A Storystock Christmas on Saturday December 9th and Saturday December 16th. “A magical series of interactive storytelling, craft, drama and comedy sessions for all the family this winter season.” More details here. The Little Match Girl, 7 December – 31 December 2017 adapted from the classic tale by Hans Christian Andersen. Tuesday – Saturday 7pm, Saturday Matinees 3pm, Sunday Matinees 3pm. Tickets £19.50 Concessions £16.50 Under 16’s £14.50. More details here. Friday December 8th, 7.45pm. Tickets £10, £6 concessions. More details here.